Children and their families are a vital part of our Christian community. The children’s ministry at CTK aims to partner with our parents for the Christian nurture and growth of their children. From birth through the elementary years we seek to continually bring the truths of Scripture to life in ways that resonate with children so that they would grow in their relationship with Jesus. Sunday School – Each Sunday before our worship service we have an hour of Sunday school where our kids can learn the story of God’s grace. The classes vary in topic and activity depending on the ages of the children, but all classes include Christ-centered Biblical teaching. Students aged Pre-K through 6th grade follow the curriculum by Great Commission Publications. Sunday school meets from 9:30-10:30 a.m. each Sunday in Ellis Hall. 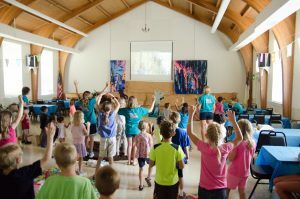 Vacation Bible School – Every Summer we partner with our sister church, Westminster Presbyterian (PCA), for a week of vacation Bible school. 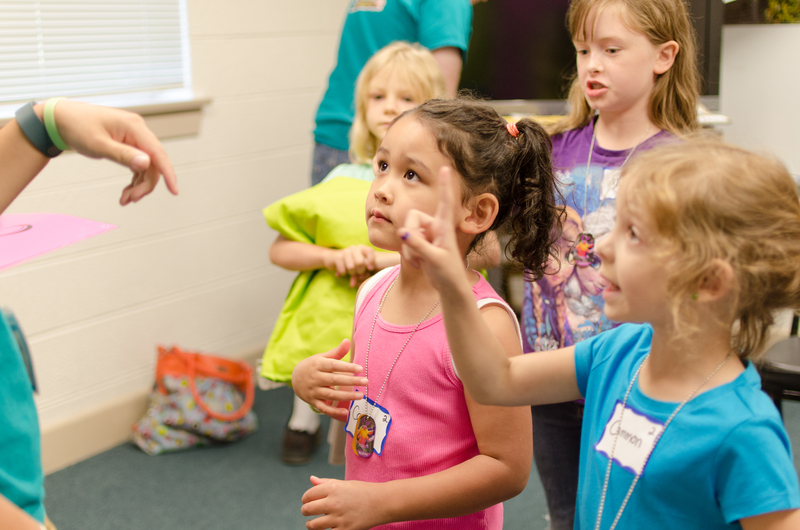 During this fun-filled week of songs and games, kids participate in memorable Bible-learning activities. Sermon Pages – During our worship services we provide our children with pages and crayons to help them follow along with the service and the sermon. These are available every Sunday at the welcome table. Please contact the head of our children’s ministry Director, Donna Brinkman (dbrinkman@ctkroanoke.org), if you have any questions or would like to get involved.